Boxes for customer number, description, quantity, shipper number. Packing slips sequentially numbered in red to expedite tracking. 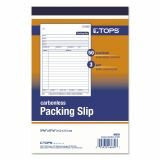 TOPS Packing Slip Book, 5 9/16 x 7 15/16, Three-Part Carbonless, 50 Sets/Book - Three-part carbonless packing slip book details up to 12 items. 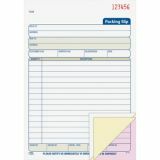 Boxes offer space to note quantity, description, customer's number and shipper's number. 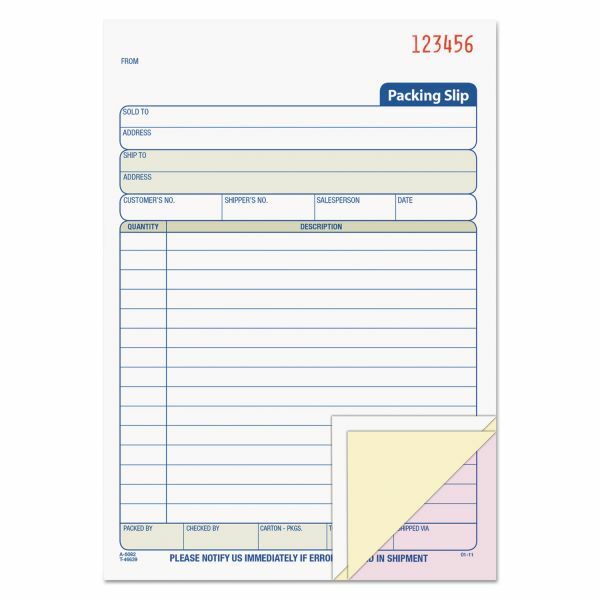 Packing slips are sequentially numbered in red and two-hole punched. 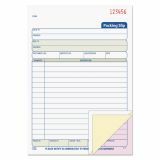 Packing slip book includes a wraparound stop card and white original, canary duplicate and pink triplicate.